Full disclosure: I skipped "Q" because the only two titles I could count for this one (All Quiet on the Western Front and Q: A Novel) are books that I truly did not care for. If you've got any "Q" recommendations, I'd like to hear them because yes, I am bothered I couldn't really complete this list. I also cheated a bit for "U" and "X". Thanks for the suggestion! I have not read that one and like you, I really loved the movie, disturbing but also so touching. You're right...as I sit here, titles keep popping into my head lol. Maybe I will play along...unfortunately, I haven't been on Goodreads long enough and have only been adding the books I read since joining. Quiet by Susan Cain is a fantastic nonfiction book about introverts. That will work for Q! Oooh! Oooh! I want to play! ALSO I'm glad you like Middlemarch because I just got it for my birthday and I'm a tiny bit iffy about reading it, so, yay! Yay you should play too! I had a tough time deciding between Middlemarch and Middlesex, but in the end Eliot won. Have you read any other Eliot? I think I'm going to need to do this. Shout out to come :) Thanks! That sounds like so much fun and I was also going to ask how you came up with so many. I'll have to make my own list. I need to read All Quiet on the Western Front. Can you believe I've also never read The Yellow Wallpaper?!? Really. I like that you listed Atwood's work for two titles. Yellow Wallpaper I loved. I think you'd like it too. I found All Quiet on the Western Front quite boring, but that's just me. Plus, I love the new layout. The header is awesome! I also realize my last comment was all over the place.. crazy. Love this, but I don't know if I'll be able to come up with X and Z! I've just recently read Zeitoun for my book group next week, coincidentally. I liked it a lot but I don't know if I can call it a favorite because I thought it was so depressing. And I've decided to count To Kill a Mockingbird for the letter K. Is that cheating? I really really liked Zeitoun. It was quite sad, and it made me angry, but I liked that it was eye-opening. For Q I've heard that Quiet:The power of introverts (non-fiction) is a great book, I'll give it a try soon. I like your mix of genres here. Fun Home is one of those books I've meant to read for yearrrrrs. Missed your blog while I was out of the loop, Brenna! Cool list! I really didn't like Q: The Novel either. After the first couple of chapters I thought I would but it went downhill for me pretty fast. Love this idea and so many of the books you listed. I did this with authors a couple years ago and realized how hard it is to fill some of the letter. 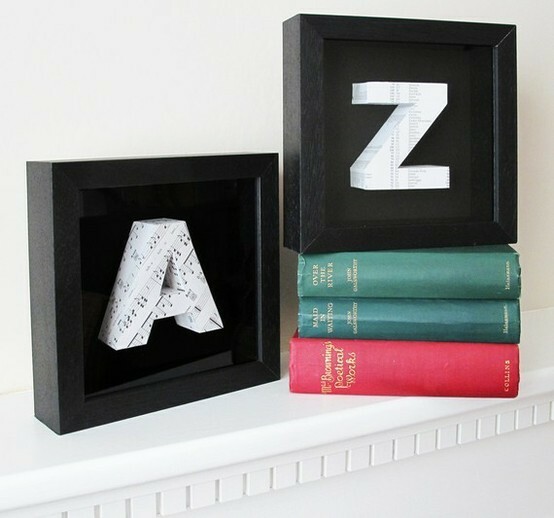 I love the idea of this, but I don't think I could think of a book for every letter, or narrow down my favourites for some letters! I would cheat on U and X too. I have heard good things about Quiet, as was suggested above, but apart from that I wouldn't be able to think of a book title starting with Q.
I just posted this meme to my blog. I totally borrowed your cheat for X. I couldn't think of anything else! Also, I would not have known what to write for K if I hadn't read your list first. Kindred is an awesome book. Oh, my gosh, how fun! I am going to have to do this.